However you measure it — in gigabytes, search results or truckloads — the data deluge is growing every minute. It comes at us nonstop in statistics, pictures, texts, videos, tweets, clicks and posts. Understanding what big data is, how it is transforming the world and what to do with it is essential for tomorrow’s leaders. Those with expertise in analyzing large datasets will drive advances in productivity, innovation and global collaboration. So what exactly is big data? The more accurate term might be “bigger data.” We’ve been analyzing data for years. It’s the speed, variety and volume that are novel. In our digital world, data are no longer contained in databases. They’re generated instantly every time we make a purchase, click “like” on Facebook or make a phone call. Researchers generate data with machines that sequence genes, analyze molecules, observe the Earth and run computer models. At Oregon State, data analysis yields insights into subjects from the environment and human health to the humanities and manufacturing. I recently talked about the implications of big data with University Honors College students. They debated whether big data was good or bad but came to realize that it is not so clear cut. They were outraged at how business schools cheat by massaging data to improve rankings and by how companies buy and manipulate extensive personal data on their customers. Students see that statistical analysis of big data can be like a knife. In the hands of a crook, it can be used to rob a bank or even take a life. In the hands of a surgeon, it can save a life. 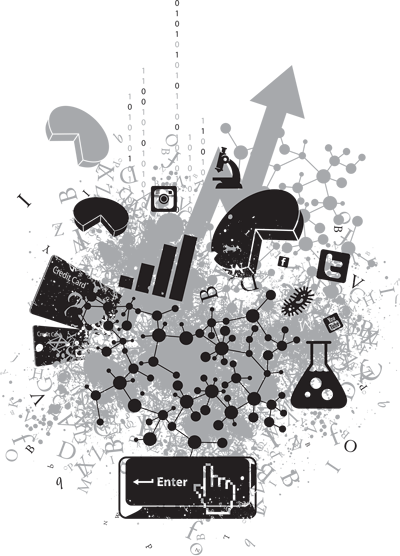 To maintain trust and integrity in science, we need to avoid the distortions that stem from unethical uses of data and separate the data “crooks” from the data scientists. The sheer volume of big data is overwhelming. It is absolutely useless unless we convert it into practical knowledge in a timely fashion. A recent Bain & Company report of 400 large companies revealed that those that had already adopted an advanced data-analytics approach are outperforming competitors by wide margins. Proper uses of big data are helping to discover new drugs, mentor students, provide better services, help farmers, develop better public policies and advance security and sustainability. What’s next? People who can apply value and meaning to real-time data are in increasingly high demand. Tomorrow’s leaders will need to analyze large datasets to generate insights and to apply them to predict behavior, trends and patterns. A recent McKinsey & Company study predicted a workforce gap of 1.5 million managers and analysts with the skills to decipher and translate data patterns for decision-making. Oregon State University is well-positioned to be a leader in data science by blending diverse disciplines, including applied mathematics, statistics, computer science, genomics and business. And the College of Science is committed to preparing the next generation of leaders in data science and to creating a statistically literate public. 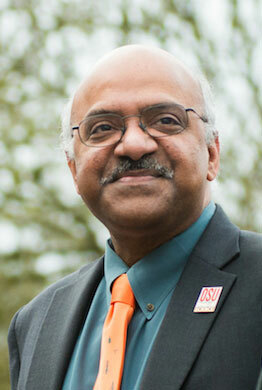 Editor’s note: Before becoming dean of the Oregon State College of Science in 2013, Sastry Pantula served in leadership roles at the American Statistical Association (ASA) and at the National Science Foundation. He contributed to the International Year of Statistics 2013 and is on the steering committee of its successor, the World of Statistics. It aims to increase public awareness of the power and impact of statistics on all aspects of society. In 2014, he received the ASA’s Founders Award, which recognizes distinguished service to the organization.